You can access the individual book titles in the collection via DiscoverEd. 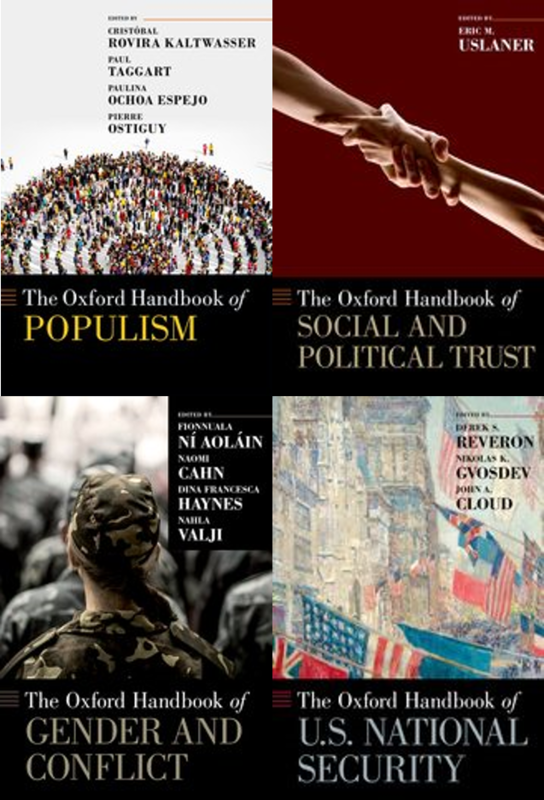 Or you can access the Oxford Handbooks Online site via the E-books pages. Oxford Handbooks offer authoritative and up-to-date surveys of original research in a particular subject area. Specially commissioned essays from leading figures in the discipline give critical examinations of the progress and direction of debates, as well as a foundation for future research. 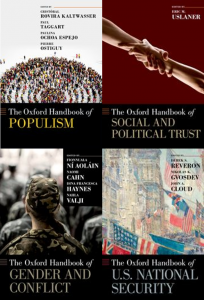 Oxford Handbooks provide students and staff with compelling new perspectives upon a wide range of subjects in the humanities and social sciences. You can access the individual book titles in the collection via DiscoverEd. Or you can access the Oxford Handbooks Online site via the E-books pages. Note that some of these titles will also be available in hard copy at the Library as well. Access to e-books is only available to current students and staff at the University of Edinburgh. This entry was posted in Library, Library resources, New, New books and tagged books, databases, e-books, gender studies, history, international relations, online resources, politics by spslibrarian. Bookmark the permalink.